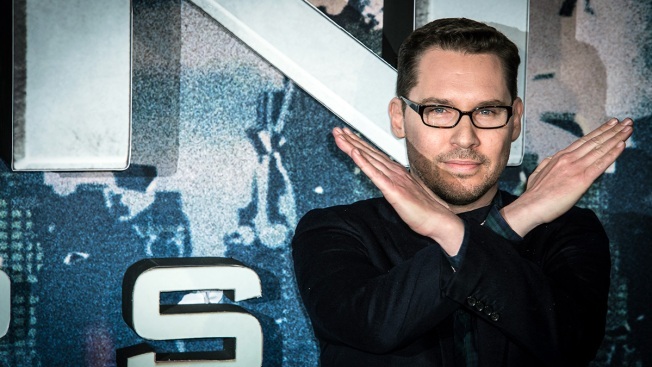 FILE - Director Bryan Singer poses for photographers upon arrival at the screening of the film "X-Men Apocalypse" in London, May 9, 2016. Director Bryan Singer has left the Queen biopic "Bohemian Rhapsody" in the middle of production. A representative for Twentieth Century Fox Film Corp. says Monday that Singer is no longer the director of the film. The Hollywood Reporter said Monday that Singer failed to show up to the film's London set on a number of occasions. Actor Rami Malek, who stars as Freddie Mercury in the film, complained to the studio about Singer's unprofessionalism on behalf of the cast. Studio representatives declined to comment on the circumstances surrounding Singer's departure or future plans for the film, which is currently slated for a Dec. 2018 release. Singer, 52, is best known for directing the "X-Men" films and "The Usual Suspects." Representatives for Singer did not immediately respond to request for comment. The exit is the latest challenge the movie has faced. Sacha Baron Cohen was first slated to play Mercury but split in 2013 over reported creative differences with members of Queen.